Fitzgerald Moving & Storage is the most trusted commercial, office and specialty moving company in the Ashburn area. Since 1978 we have been wowing our customers with our professional moving services and outstanding customer service. If you have a need to relocate to the Ashburn area or anywhere else, we can put our four decades of experience to work for you. During our many years in business, we have handled every type of commercial move with great care and expertise. No two customers are alike, nor are their unique needs, so we take the extra steps needed to make sure we are providing the best service possible. Immediately upon hiring us, we will set to work on a pre-move plan, the logistics of the actual move and of course prepare for the arrival at the new location. With four decades of experience in the moving industry, we promise to meet the needs of your specific requirements. Need help getting packed? We can do that too. If professional storage is in your future, not to worry. We have plenty of secure and clean storage space for both short and long term use. 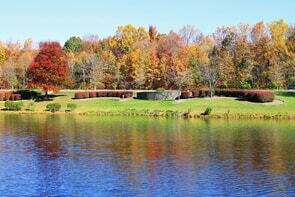 Ashburn, VA is located in Loudoun County, Virginia and has a population of just over 43,000 residents. The area is conveniently located just 30 miles northwest of Washington, D.C. Ashburn offers its residents and visitors plenty of fun things to do, as citizens enjoy parks, theaters, a variety of clubs/restaurants and other attractions. The quality of life in the Ashburn area is very good. Our team of dedicated professionals will see to it that every aspect of your move is well thought out and covered in every detail. We know how important it is to get your organization back up to full operating capacity as soon as possible. From the very first day we opened our doors in 1978, Fitzgerald Moving & Storage has made our customers our top priority. When you hire us to expertly handle your moving project, you will be assigned one of our excellent customer service representatives to be your single point of contact. This approach ensures that communication between your company and ours will be easy for you and very productive. If your business has a need to move to the Ashburn area or anywhere else in Virginia, Maryland or Washington, D.C, you can count on us to get your moving job done right and on time. Give us a call today or fill out our short, online form to get a no cost quote!